Samburu National Reserve is a rugged and semi-desert park located in Samburu district in the Rift Valley Province of Kenya. The park neighbors the homes of the Samburu tribe of Kenya, a tribe known for their remote culture, pastoral and nomadic way of life. Due to its remote distance and the fact that it was inaccessible for many years, the park has retained a naturally serene and quiet feeling. Besides the numerous wildlife found in this game reserve, the park is also a bird haven. The game reserve is renowned for its rare species of animals unique to the park, namely: the long necked gerenuk, Grevy's zebra, reticulated giraffe and Beisa onyx. 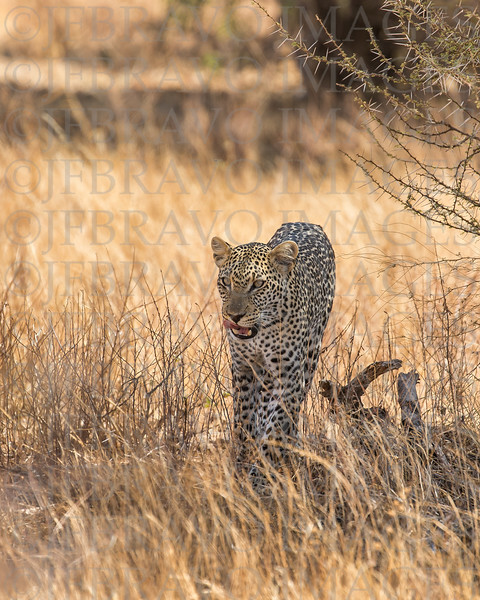 The elusive Kenya leopard is often known to visit the park, especially in the evenings. Other Kenyan wildlife present in the park includes cheetahs and lions, as well as elephants, buffalo and hippos. Birdlife is as plentiful as wildlife at Samburu National Reserve, which boasts over 350 different species of birds including vultures, kingfishers, marabous, bateleurs, guinea fowl, Somali ostriches and others.